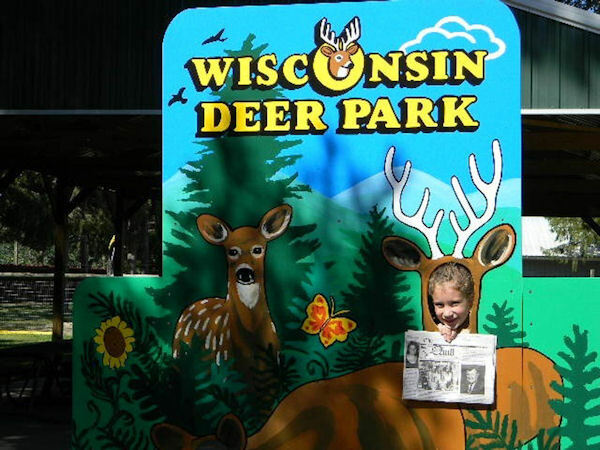 Hope Rathjen, age six of La Harpe took "The Quill" along when she visited the Wisconsin Deer Park at the Wisconsin Dells on September 10, 2010. She also had the honor of driving one of the original Dell's Duck boats. When you go on a trip, take "The Quill" along and have your picture taken with it, then send it to us. Let's see where all "The Quill" can travel.